"Leading the team to a Stanley Cup and three conference final appearances, he has accomplished so much in Anaheim," Murray said of the 62-year-old bench boss in a statement. "Difficult decisions need to be made when times are tough, and our play has clearly been unacceptable. 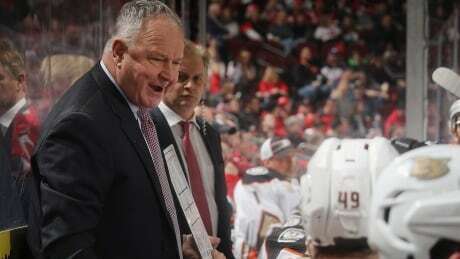 The Ducks entered play Sunday in last place in the Western Conference with a 21-26-9 record.